Student Living – Kent Town is a great student accommodation option for students looking for a great student living environment. Kent Town Student Village is located at 22 Wakefield Street, Kent Town, which is adjacent to the parklands adjoining the eastern boundary of Adelaide City. It is a 12-minute walk or 5-minute bike ride to the City East Campus of UniSA, The Adelaide University, the Adelaide Museum, the Art Gallery of South Australia and the Royal Adelaide Hospital. The City West Campus of UniSA, both Carnegie Mellon campuses and the Adelaide College of TAFE are a further 5-minute walk, as is Central Market and China Town. Rundle Mall and the cosmopolitan Rundle Street with its trendy cafes and coffee shops are also in close proximity. Public transportation from Dequetteville Terrace to North Terrace (City) runs every half an hour. Bus 144 is preferred. Kent Town Student Village is a four-storey building consisting of various size rooms with flexible layouts. The ground floor has a large commercial kitchen, a smaller “open all hours” kitchen, large dining area, lounge room and study area. The building has a coin operated Laundry containing both washing machines and clothes dryers, a secure area with bike racks and an outdoor relaxation area. Flat screen television and a vending machine is available in the common lounge area. Wireless internet connection is available throughout the building. 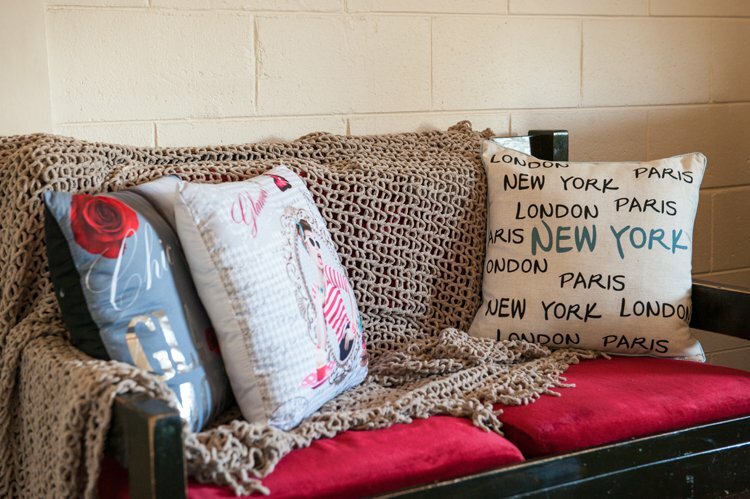 All Kent Town rooms are provided fully furnished. Lease start dates are flexible but must end on the 30th January or 30th June. 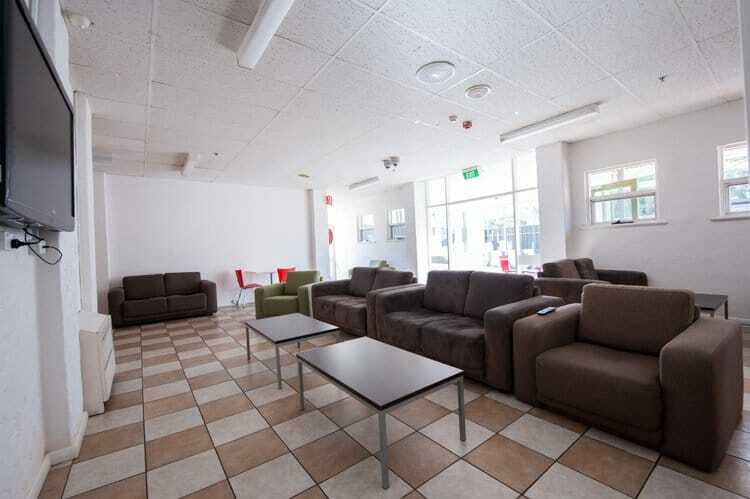 Kent Town is great for students looking to meet new people as the building contains large common areas including 2 industrial sized kitchens, dining area with lots of tables & chairs as well as a spacious lounge area featuring multiple sofas, 52 inch TV and study desks and chairs. Students can also spend time outside in the undercover entertainment area featuring tables & chairs and shade from the sun. Our 2 bedroom apartments come fully equipped with a private bathroom, 32” TV and bar fridge. 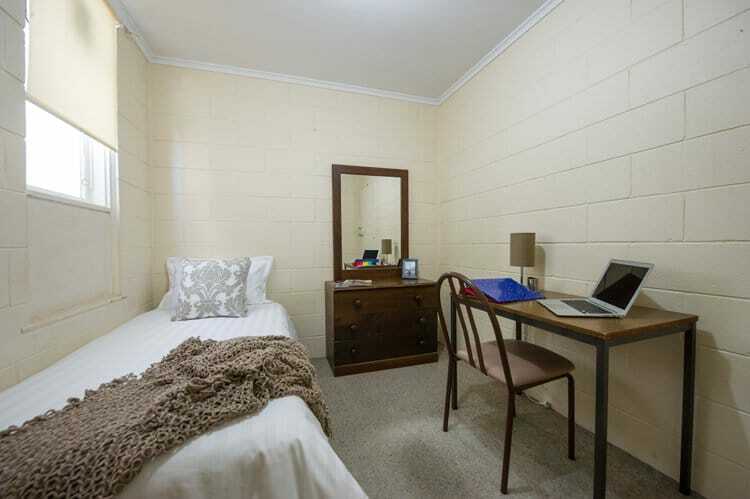 Each bedroom contains a single bed, study desk and swivel chair. 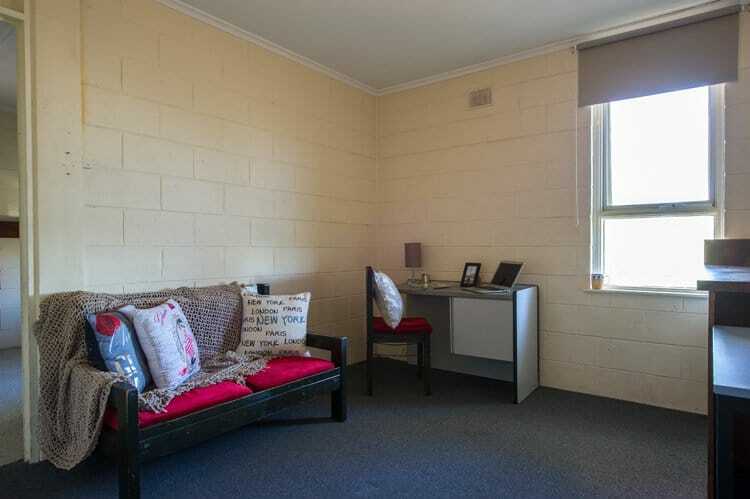 The property also features car parking and an onsite caretaker for all student’s needs.